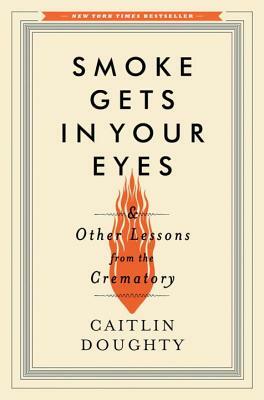 Most people want to avoid thinking about death, but Caitlin Doughty--a twenty-something with a degree in medieval history and a flair for the macabre--took a job at a crematory, turning morbid curiosity into her life's work. Thrown into a profession of gallows humor and vivid characters (both living and very dead), Caitlin learned to navigate the secretive culture of those who care for the deceased. Her eye-opening, candid, and often hilarious story is like going on a journey with your bravest friend to the cemetery at midnight. She demystifies death, leading us behind the black curtain of her unique profession. And she answers questions you didn't know you had: Can you catch a disease from a corpse? How many dead bodies can you fit in a Dodge van? What exactly does a flaming skull look like?